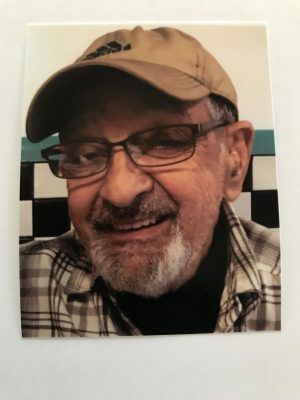 FULTON, NY – Arthur J. Ezzo Sr., 82, of Fulton, passed away on Friday March 22, 2019, at St. Joseph’s Hospital, Syracuse, after a sudden attack. He was born in Fulton, to the late John and Rose (Conca) Ezzo. He remained a life resident of Fulton. Arthur was a United States veteran having served in the Army from 1959-1961. He was past employed with P&C in Fulton and Oswego for 25 years and later retired from Miller Brewery, Fulton, after 18 years of service. Arthur’s passion was to spend time with his family. He was predeceased by his brother, James Ezzo; and sister, Sylvia Hartle. Arthur is survived by his wife of 61 years, Diane Ezzo of Fulton; their children: Arthur (Micheline) Ezzo Jr. of Fulton and Robert Ezzo of Fulton; his brother, John (Joan) Ezzo of Fulton; sister, Amelia (Rick) Lewis of Florida; several nieces and nephews. Mrs. Ezzo, Rob, Art and Micheline, I am so sorry for your loss. I always enjoyed running into Mr. Ezzo at Mimi’s or the store, he was always so friendly. May he rest in peace and your family be comforted by your memories of him. Diane,sorry for your loss,he was a nice man.May the lord bless and keep him.The door is open to you and your family. Diane, we are so sorry to hear of Art’s passing. What a wonderful person he was. It was a pleasure knowing him. Please accept our condolences to you and your family.